Challenge against proposed amendment allegedly diluting provisions of Whistleblowers’ Protection Act ‘premature’, it says. The Supreme Court recently closed a writ petition preferred by NGO Parivarthan, seeking the establishment of an independent authority to receive complaints of whistleblowers, in view of the fact that the Whistleblowers’ Protection Act has already been enacted in 2011. The petition, which was filed in 2004, among other prayers, sought administrative instructions to establish an independent authority to deal with complaints of the authority and to protect such whistleblowers from victimisation and physical violence. 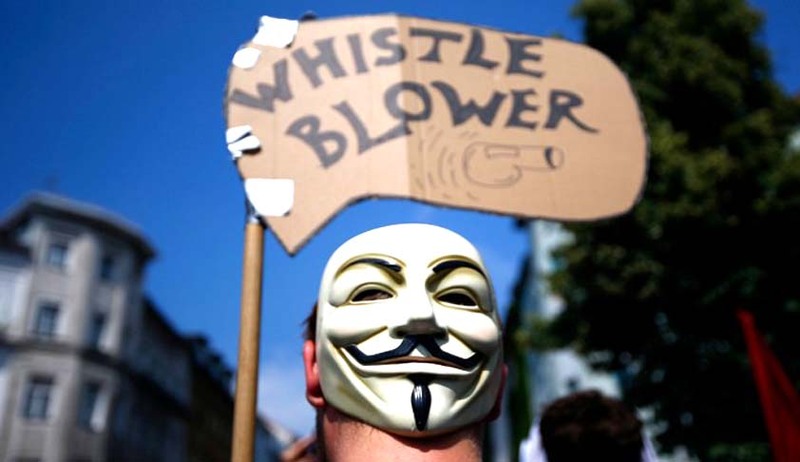 In 2011, Parliament passed the Whistleblowers’ Protection Act (WBPA), and it received the assent of the President on May 9, 2014. But strangely it has not been operationalised to date. Live Law had earlier reported that instead of promulgating rules to operationalise the law, the government moved an amendment Bill in Parliament in May 2015, which seeks to severely dilute the Act. When asked about the implementation part, the Solicitor General of India submitted before the bench that when the enactment was examined by the government, it found certain deficiencies therein, and also a conflict between the provisions of the Act and the provisions of the Right to Information Act, 2005. He also stated that the amendments, which propose to cure these deficiencies, had been passed by the Lok Sabha, and the Rajya Sabha is likely to consider it during the budget session. Advocate Prashant Bhushan, who appeared for the petitioners, expressed his dissatisfaction with the proposed amendments to the WBPA. But the bench headed by Chief Justice of India JS Khehar said the challenge was premature and it could be challenged after the enactment is passed. “As and when the eventual enactment emerges, after the approval by Parliament, it shall be open to the petitioners to raise a challenge thereto, if the petitioners are so advised, in accordance with law,” the court said, disposing of the petition which it kept pending for more than a decade.